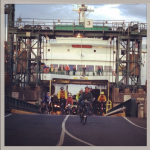 Ian Mackay undertook a journey many people would find too daunting to consider: from his home in Port Angeles with a quick visit via ferry to Victoria, British Columbia, and then heading from Anacortes through the length of Washington state to Portland. And what a ride! To help Ian plan his route we sent links to maps for bike events like Seattle to Portland and RSVP; mailed print bike maps for counties and cities that have them available; and reached out to bike groups all along the way to find expert route advice and ride-along friends, and they responded. Ian and crew tweeted, blogged, and posted on Facebook all along the way, as did friends and supporters. We rounded up the social media and mainstream news coverage in a Storify so you can experience a bit of the ride as it unfolded. 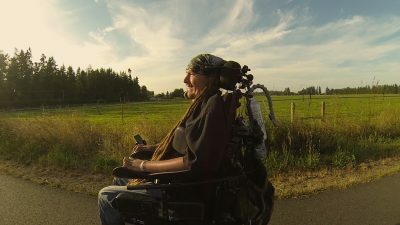 When Ian got in touch with us originally, he said he wanted to highlight the need for accessible, complete connections for all. He has certainly done that, with stories on TV, in newspapers, and on Mashable.com, where the story has already been shared over 13,000 times. 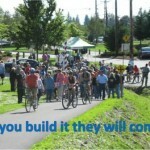 Ian also said he wanted to donate funds raised to support the state advocacy efforts of Washington Bikes to improve and complete trails and connections. 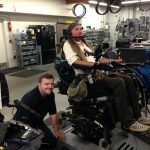 If you think we need to do a lot more to create safe, complete, accessible networks for all of us no matter how we roll, join Ian in supporting our work. 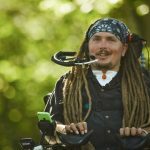 This article was posted in Accessibility, Adventure, Advocacy, News. Bookmark the permalink. Follow comments with the RSS feed for this post. Both comments and trackbacks are closed.